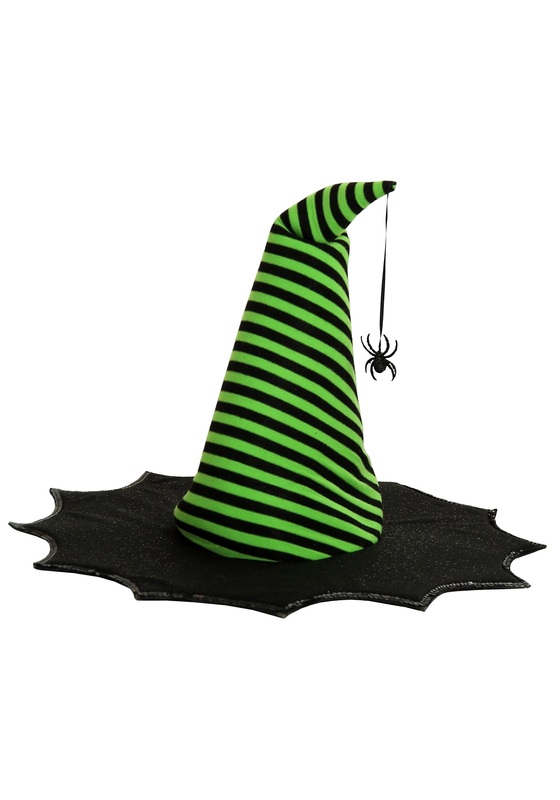 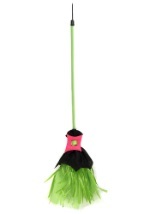 Top off your spiderina costume with this coordinating spiderina witch hat! 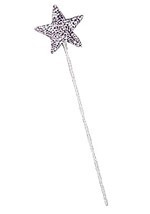 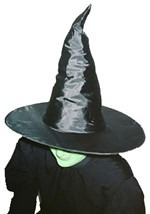 This detailed hat is made from foam to maintain its classic witch-hat shape and has a circumference of 19". 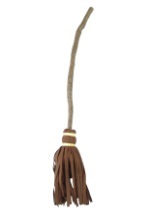 The hat features black and green stripes with a spider dangling off the tip. 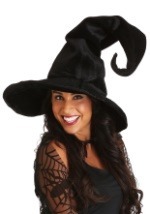 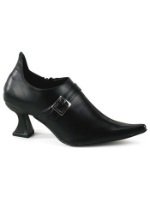 The black rim has a jagged edge and is edged with black sequins and covered with glitter. 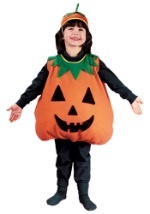 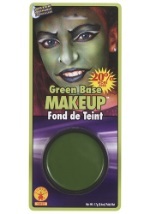 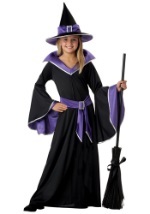 This unique witch costume has all the right details to frighten and amuse all the little ghouls this Halloween!